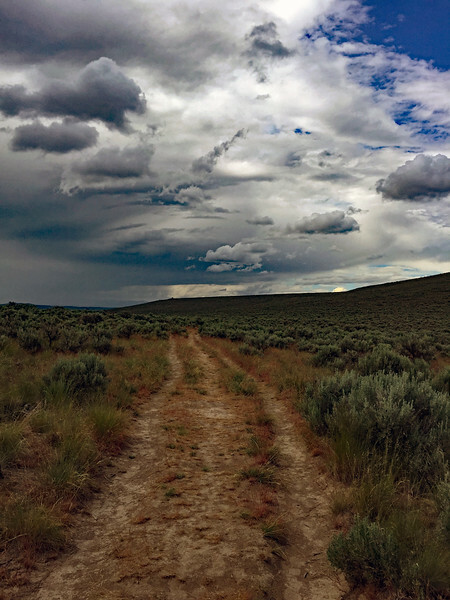 Outside of Baker City Oregon, you can hike on the original wagon train ruts on the Oregon Trail that the pioneers used to travel west. As I hiked along the ruts, seeing a storm on the horizon, I realized how strong and resilient these travelers were on their quest for finding a new life. Many died and faced incredible hardships. I could only think about whether I could make it back to the car before the thunderstorm started.